Ever since I got back from Colorado for the Rock n’ Roll Denver Marathon, I took a few days off to recharge, spending most of the day on the couch watching TV. Yes, I have to admit sometimes having days of doing nothing and eating potato chips, one after another, out of its bag while catching up on Keeping Up with the Kardashians is fulfilling. It feels just right. Or the right thing to do. Do you ever feel that too? The guilt then kicked in. It had been days since I had a homemade meal. Body felt off without a healthy meal. Sure enough, I needed a good meal to help with the post-race recovery. Chinese steamy food has always been one of my favorites. Steaming is like the healthiest way of cooking. There’s not much of oil is needed. The original scent and taste are preserved in the dish. And this is the best part. Wait, wait for steam to form, get a facial out of it. When else could you cook and get a facial at the same time? Minced the shrimp into a paste and transfer it in a big bowl. Add the cornstarch, egg white, salt and pepper. Mixed all the ingredients together with chopsticks or spoon. 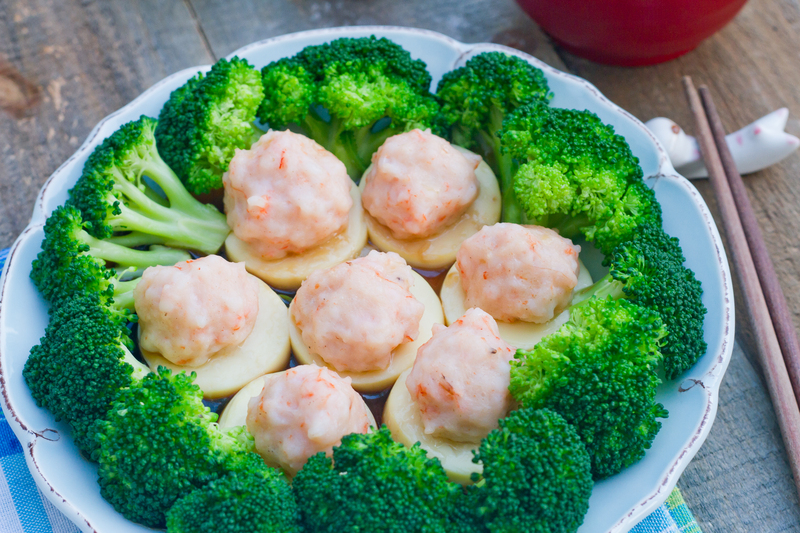 To obtain the bouncy texture of the shrimp balls, mixed it going in one direction, either clockwise or counterclockwise, for approximately 10 minutes or until the texture stick well together and bouncy. While mixing, scoop up the paste and throw it into the bowl several times. It helps to get the bouncy texture. Set aside. Cut the broccoli in small stems. Add water to a pot and cook it on high heat. Bring it to boil and throw in the broccoli for 30 seconds. Turn off the heat and drain. Cold shock the broccoli to preserve the crunchiness and color. 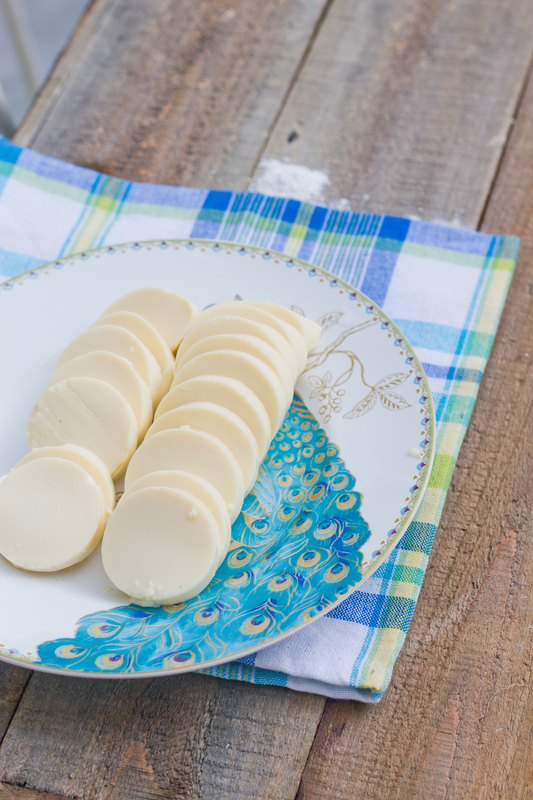 Slice the silky egg tofu into 1/2 inch thick pieces. Arrange the slices on a plate. Sprinkle a little bit of cornstarch on top of the tofu. This will ensure the shrimp balls to stick to the tofu while steaming. Prepare the shrimp balls and place them on top of the tofu. To make a ball shape, scoop a small amount of shrimp paste into a hand (make sure that hand is wet to avoid stickiness), make a fist, and squeeze between the index finger and thumb to form a ball. Scoop it off the hand with a spoon. The shrimp paste will make about 14 balls. Each one about 1 inch big. Prepare a pot with water. Place a stand (upside down bowl if you don’t have a steaming stand) in the pot. Remember, don’t let the water level go above the stand to avoid water from getting into the plate of tofu. Place the plate of tofu with shrimp balls on the stand. Add the soy sauce and sesame oil. Put on a lid. 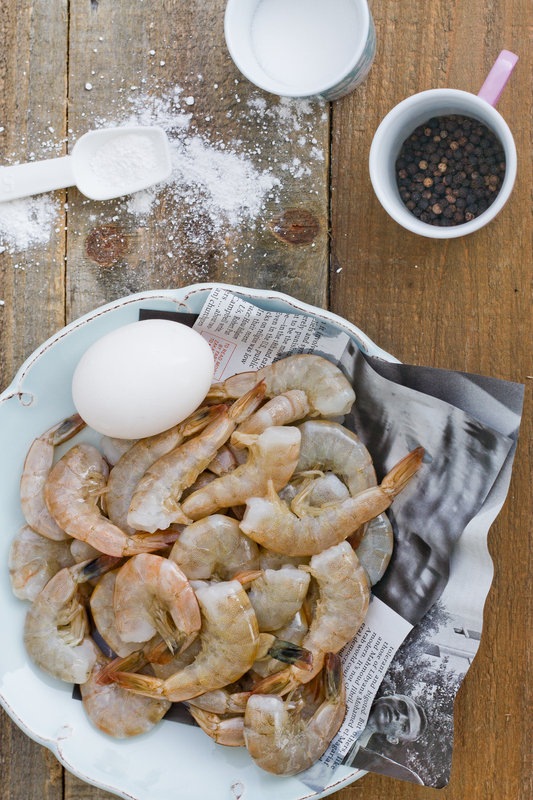 Steam it for 6 – 8 minutes on high heat or until the shrimp balls turn pink. Beware that it’s hot when you remove the plate from the steamer. Decorate it with broccoli. Add some fresh grounded pepper and serve. 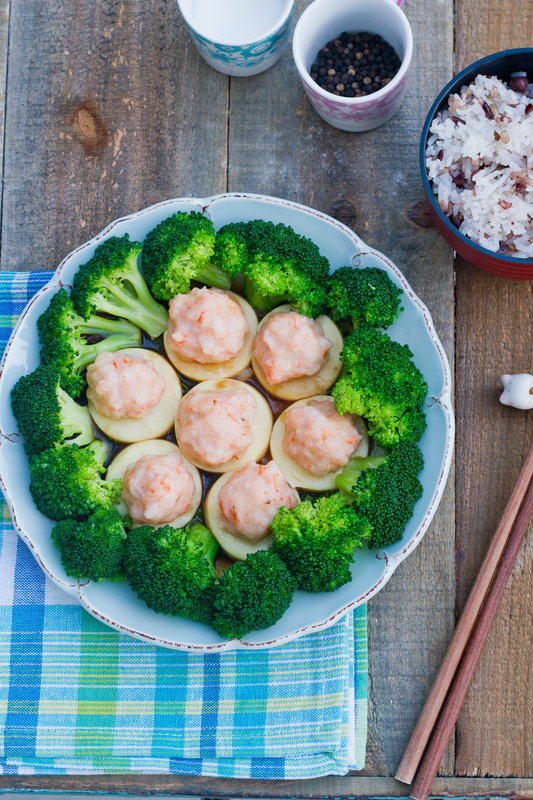 This entry was posted in Chinese, Quick Meal and tagged broccoli, chinese, egg tofu, Food & Drink, food photography, shrimp, shrimp balls, steaming, summer, tofu. Bookmark the permalink. omg! you dont know how long i searched for this recipe! found this awhile back and lost it T.T i love this blog!